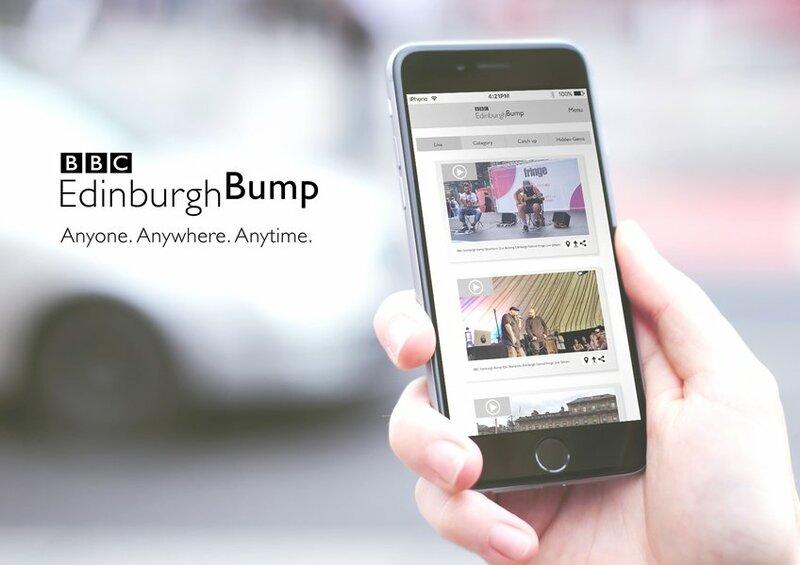 BBC Edinburgh Bump allows anyone, anywhere, at anytime to connect with the Edinburgh Festivals through the use of live video streaming. The BBC will have thousands of live streams across the events in August. 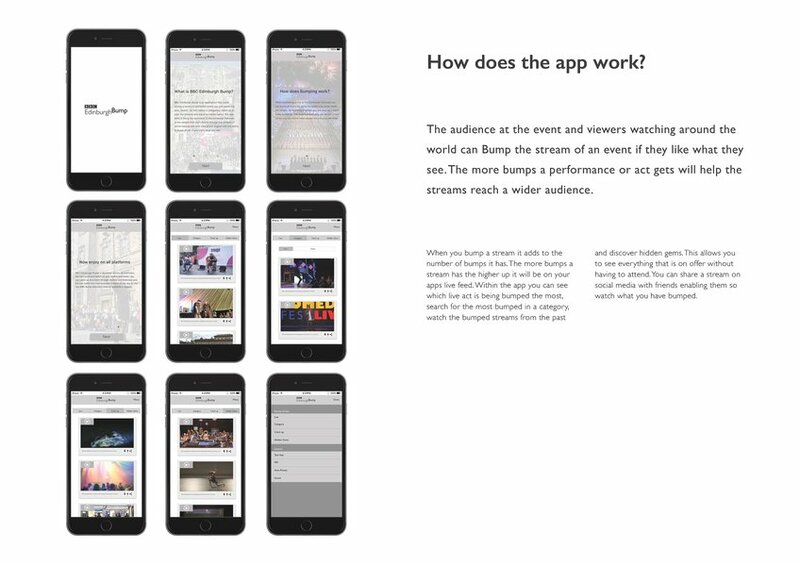 The audience at the event and viewers watching around the world can 'Bump' the stream of an event if they like what they see. The more bumps an act or performance gets will help the streams reach a wider audience. 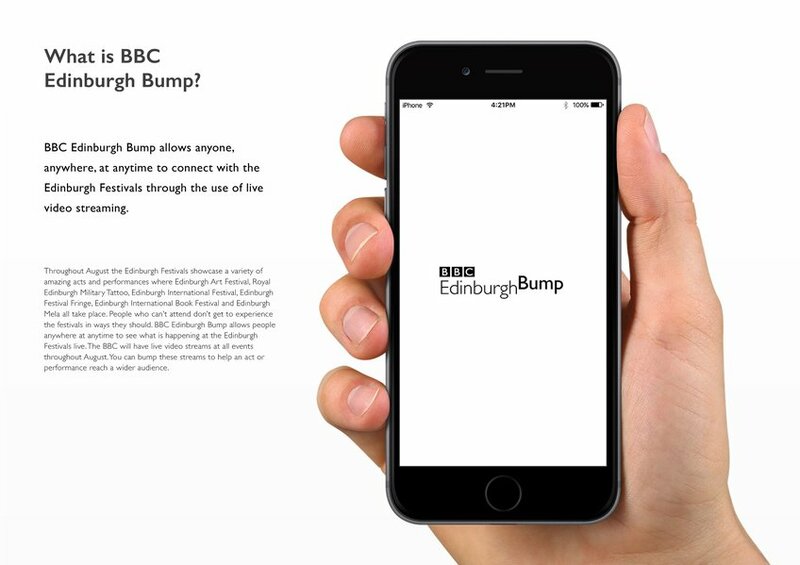 The BBC Edinburgh Bump app is available on your smartphone and online. 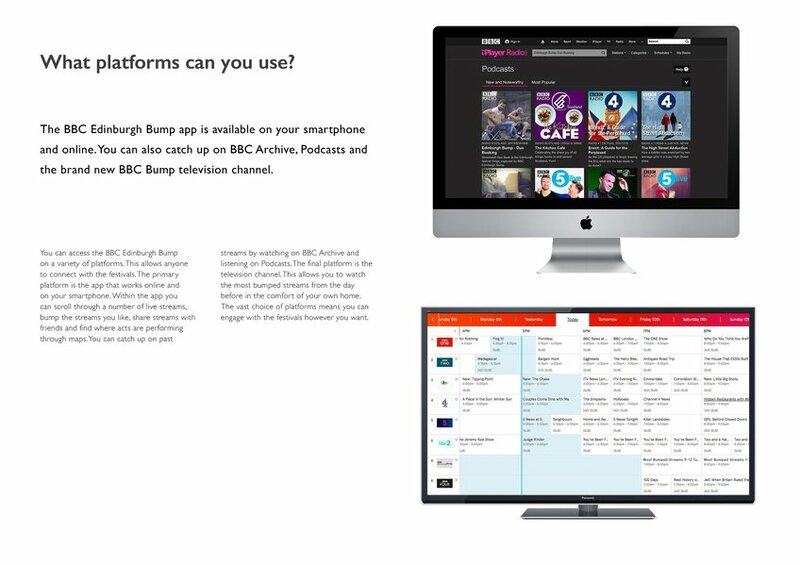 You can catch up on BBC Archive, Podcasts and the BBC Bump television channel.